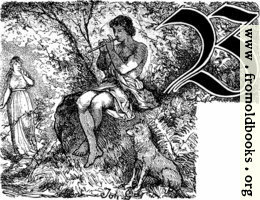 An almost-naked young mang sits on a rock and plays a recorder or pipe in a forest; his dog sits next to him, and in the background a young woman approaches. 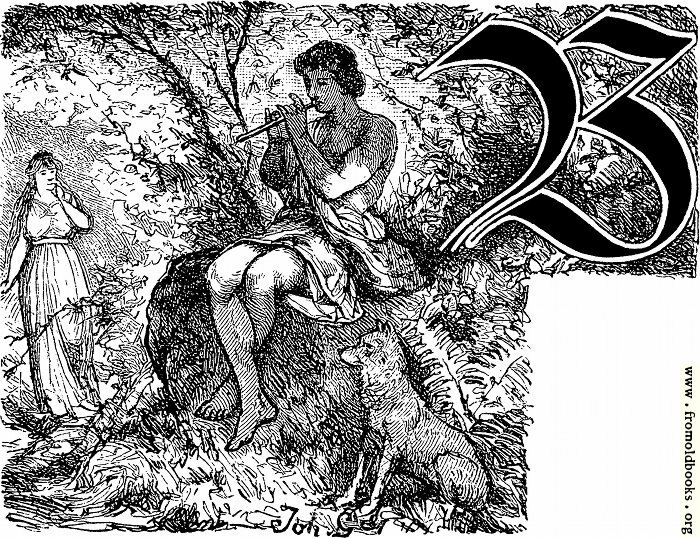 There is a large letter “B” in the German fraktur style. I made a version of this letter with just the musical love scene from the forest. The image is signed, but I can’t make out the signature, so I am not certain about the copyright of this image.